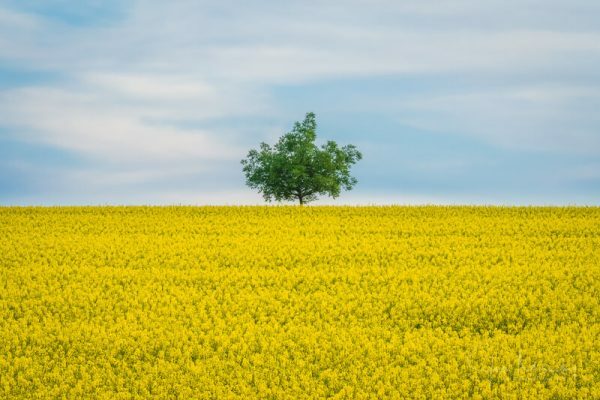 Once a year, there is a time when vast areas in the Czech Republic turn yellow. Every once in a while, a new subject walks into the composition and gets lost there. The moment I noticed the lone tree, I knew that I want to break all the compositional rules and go for simplicity. Price: 3875 CZK (approx. 185 USD), free shipping worldwide! Paper: Collection Baryta SILK 310 gsm is a true barite paper known for its great sharpness and massive color gamut. It has won TIPA’s award as the best barite fine-art paper three times and this hasn’t been achieved by any other paper. It is an acid-free paper and does not contain optical brighteners. This creamy white and velvety finished semi-matte paper is a jewel among fine-art papers and once you hold it, you will know why. Price: 5265 CZK (approx. 250 USD), free shipping worldwide!